We stayed in Marazion, famous for St Michaels Mount, in a beautiful house with views of the bay. I've always loved Marazion, seeing that first view of the Mount when we are in the car gives me that warm feeling of nostalgia, and I am so glad that we were able to get a house there so last minute. One of my favourite things to do in Cornwall is to walk the causeway across to the Mount. You can walk up to the castle or get an ice cream or just watch the boats bobbing in the water. 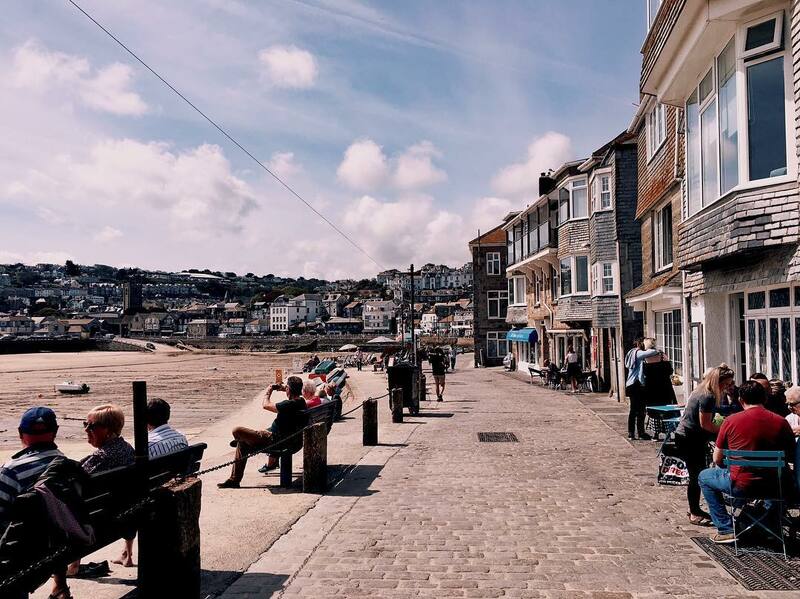 When we visit Cornwall in the summer, we tend to avoid St Ives because it is always heaving with tourists, which is no surprise due to it's gorgeous beach, cute streets and abundance of cafes and restaurants. However, we had a great time there on our April staycation, eating delicious pasties from Philps Pasty Hatch, having a wander through the back streets, exploring boutiques selling unique homewares, pretending we could afford the £1000+ paintings in the local galleries, having probably one too many ice-creams. 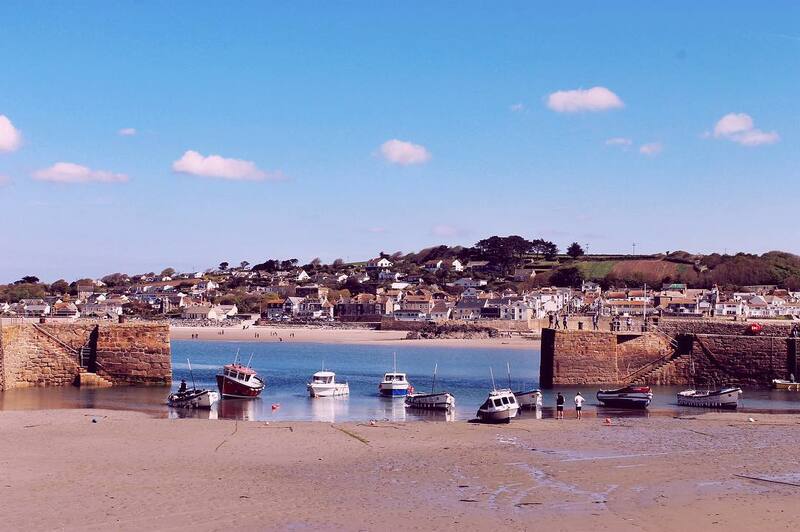 We loved wandering St Ives so much that we went back at the end of the week too! In all the years I've been visiting Cornwall, I had never been to the Minack Theatre; a theatre, designed by Rowena Cade, carved into the cliff and overlooking the beautiful Porthcurno Bay. I loved learning about the history of the theatre, and it really is an impressive sight to see. I would love to go back one day to watch a performance - whilst we were there they were setting up for the Pirates of the Carabina circus troupe! 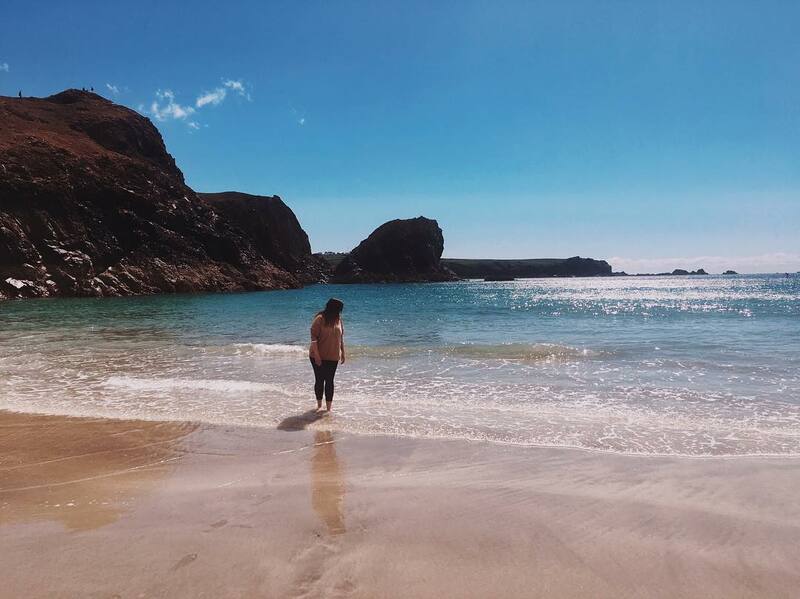 Walking down on to the beach at Kynance Cove felt like we were in paradise; the water was so blue, the sun was shining and there was hardly anyone there. I dare say that this is hardly ever the case, but it was nice to have it pretty much all to ourselves for a little while, cue taking lots of photos and paddling in the, surprisingly, not that cold sea! When we arrived at The Lizard, Dad and I pretty much ran to Anne's Pasties, partly because we were starving but also because they are the nicest Cornish pasties ever (this seems to be turning in to a food blog). After having a little walk on the cliffs - The Lizard is the most southerly point of the UK - and watching seals on the rocks, we popped in to Polpeor Cafe for a little bite to eat. I had their deluxe hot chocolate and a slice of homemade carrot cake. This place also does amazing crab sandwiches and a fab Cornish cream tea, the staff are lovely and the views are gorgeous. We didn't really spend any time in Hayle, but I had to tell you about Sanders Fish and Chips. As well as offering a typical chip shop takeaway service, they also have a restaurant where you can sit and eat one of the best meals of your life. Their cod and chips were so delicious and I would 10/10 recommend their onion rings and curry sauce too! We didn't make a reservation, but I would suggest you do to avoid any disappointment. We really did have the best time on our week away staycation. Having spent so much time going abroad the last few years, I had forgotten how nice it is to pack up the car and drive to the seaside. It was also lovely to spend quality time with family and I hope that we get to go on many more family holidays. To see more of what we got up to in Cornwall, be sure to visit my Instagram. If you would like to know more about where we stayed, then you can visit Cornish Cottage Holidays here! OMG Staycations are defo the way forward! 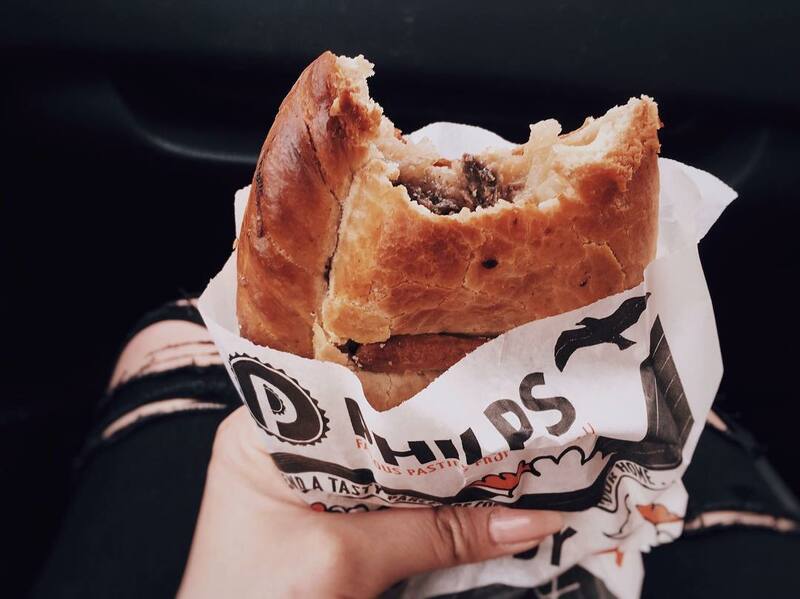 I can't believe thats in the UK.. the pasty looks so delicious.. I'm glad you have a lovely time and btw all these pics are stunning! It really felt like we were in some exotic location especially at Kynance Cove! The pasty was heavenly! Thanks so much hun! Just come across your post. I have never visited Cornwall before but your post is definitely inspiring me to now. I think you forget that the UK has some amazing places to visit! I visit Newquay and St Ives every year, it's a long drive but definitely worth it! 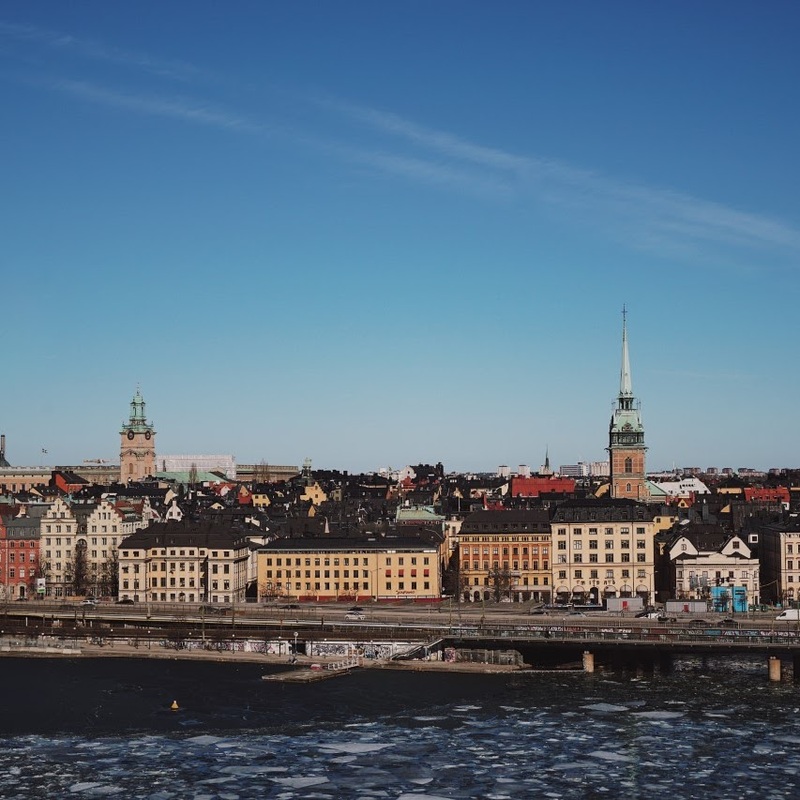 Ohhhh, what beautiful pictures and a great blog post! I'm absolutely desperate to go to Cornwall and this has only made it worse haha. Your fish and chips look so good, too! So glad you had great weather for it. Thanks for sharing. Fantastic post and your photos are beautiful. Your pictures are absolutely stunning!!! Oh wow I can’t believe how blue the sea is, it looks like you’re abroad! Amazing pictures! That pasty looks so good too. I don’t think I’ve ever been to Cornwall but it’s definitely on the list.